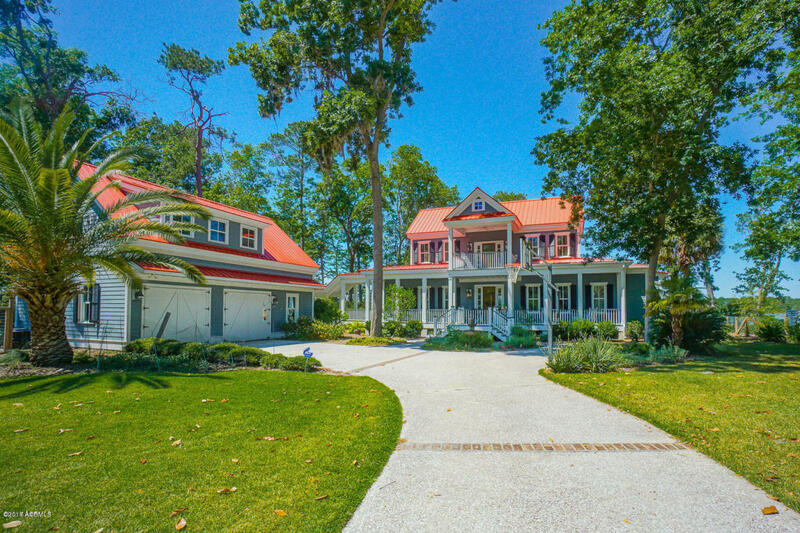 Beautifully maintained home facing the marsh on one of Cat Island's most desirable streets. The main home is 3,187 sq.ft. with an additional 624 sq.ft. of living space above the garage with a 5th bedroom and 4th full bathroom (guest quarters/office/rec. room). This custom-built home, offers an open floor plan with wood floors. The open kitchen features a breakfast area and large island that leads out to a screen porch overlooking the water and marsh. The family room offers a wood burning fireplace and display of 9' sliding glass doors across the back which leads to the expansive porch. This porch features an outdoor wood burning fireplace, custom lighting and is perfect for entertaining overlooking the water and marsh. The first floor master suite overlooks the marsh and water.